We all know that Olive Oil is a good choice. It is brimming with the right fatty acids and has a lot of antioxidants as well. There are other oils which are also really healthy which you may not get enough of such as fish oil. You can take an Omega-3 supplement if you feel you are lacking in this nutrient. When it comes to everyday cooking, olive oil is a great way to boost your health too. In the parts of the world where it is used as a staple, the populations are amongst the healthiest in the world. The one concern that many people have is cooking with it is due to the unsaturated fat content. I was initially in this camp but I have come to believe that I was wrong. Here is why you should be using olive oil for all cooking. When some oils and fats, especially those of the polyunsaturated variety, are subjected to high temperatures, they are damaged and dangerous, carcinogenic compounds can form. You could literally be inhaling some of these dangerous compounds while standing over the frying pan. To minimize the chances of this happening to you switch to fats that can handle high heat while remaining stable. Smoke Point: It is at this temperature that the fats start to destabilize and produce fumes. Oxidative Stability: This is a measure of how easily the fat will react with oxygen. As we will see shortly, olive oil scores points on both of these. Every triglyceride or fat molecule has one glycerol molecule connected to three fatty acids. There is only one type of glycerol molecule but the same cannot be said of the fatty acids and each type has its ramifications when it comes to health. These fatty acids fall into three categories - polyunsaturated (lots of different double bonds), monounsaturated (only one double bond) or saturated (no double bonds). It is the double bonds that cause the problems as they become unstable if subjected to high temperatures and are more likely to react in the presence of oxygen. What this means is that the higher the number of double bonds there are, the more volatile the oil is going to be during cooking. That is why saturated fats are relatively stable when heated. 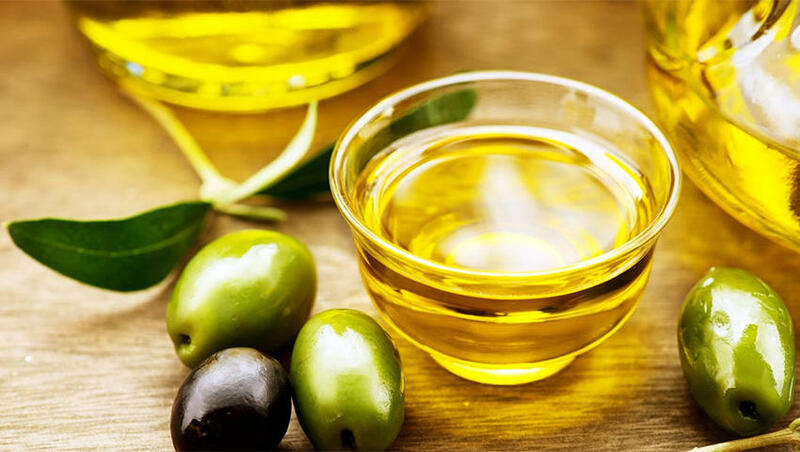 Unlike other vegetable oils, olive oil contains mostly monounsaturated and saturated fats (about 87% between the two types) so it is comparatively stable in high heat cooking. To get the best benefits, stick to extra virgin only - this is the oil that is extracted when the olives are first pressed and it has the most bioactive substances and a range of antioxidants, such as vitamin E. One of vitamin E's functions is to help mop up free radicals and thus reduce the damage they can potentially cause. When an oil reacts with oxygen it is said to be oxidized. During this process, a number of dangerous compounds form. It is possible for this to occur at normal temperatures and this is what accounts for rancidity in oils. But when oils are heated, this process speeds up. How many polyunsaturated fatty acids it has - the higher this number, the higher the chance of damage. How many antioxidants there are to stop oxidation from occurring. Olive oil does very well on both counts (as mentioned above). A number of studies have checked the stability of olive oil in high heat. In one such study, the oil was fried for a full day at high temperature. All the olive oil did well but the extra virgin sample produced the best results. 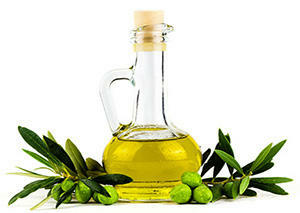 The studies bear out that olive oil is not quick to oxidize and so is healthy for cooking. It is also not true that exposing olive oil to high temperature will cause it to form substantial amounts of trans fats. One study used the same oil a 8 times. The trans-fat percentage, while greater after the eighth frying session, was still trivial. When an oil starts to smoke, it is an indication that the fat molecules are being broken down. This can lead to the formation of toxins. It is also possible that trace elements within the oil, and not the fats themselves, may start producing smoke first. You will also find that, in most oils, there are some free fatty acids. The more of these that there are, the lower the smoke point of the oil. 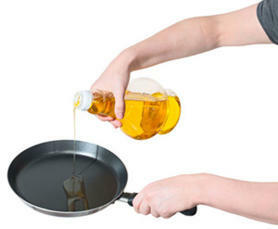 Refined oils tend to have fewer trace nutrients and free acids so they will only start smoking at higher temperatures. Note that when you are heating an oil, more fatty acids are freed so the smoke point changes over the cooking time as well. So the smoke point can be difficult to establish with certainty because it is not the result of just one process. That is why, most of the time, you will be given an estimate rather than an absolute figure. The batch, where it was made, etc. all play a role. What we need to know though is that olive oil's smoke point is more in the middle range and that this means that it is relatively safe for cooking. If you are using the oil in the normal course of cooking, you are not likely to damage the oil significantly or cause oxidation. The Vitamin E and other antioxidants are, however, sensitive when it comes to heat and so will be partially degraded. But to kill off these beneficial compounds within the oil though it takes quite a bit of doing - quick heating seemed to have little effect. In fact, it was only when the oil was fried for a full 24 hours that some of the beneficial compounds were reduced. The flavor of the oil is, in a large part, due to the trace elements therein. Thus if it is overheated, the flavor may suffer. So... Is Olive Oil Good To Cook With? As long as you are using a quality product that is extra virgin, you will be able to enjoy the health benefits. Try a little first and see if you really can tell the difference in terms of flavor once the oil has been heated. Do be sure to get pure olive oil and not a blend - sometimes olive oil is blended with seed oils in order to reduce the cost.